The zodiac signs can give us important insights about our life. Each sign comes with strengths and weaknesses, making them unique. 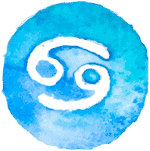 You can discover more about your sign or partner’s zodiac sign by analyzing the traits, personality and characteristics. Those born between March 21 and April 20 fall into the sign of Aries. It’s the first sign of the zodiac and relates to the first day of spring. 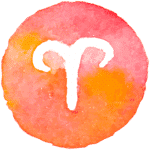 Aries are impulsive, initiative, courageous and determined. They are dynamic and have a highly competitive spirit. Taurus zodiac sign falls between April 21 and May 20. 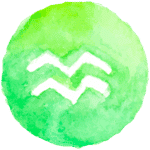 Taurus individuals are known to be clever, artistic, romantic, practical, determined, stable and loyal. Taurus have a solid personality described by perseverance. Gemini individuals are born between May 21 and June 20. They are ambitious, kind, thoughtful, open-minded and have strong leadership qualities. They are curious about everything and love to be part of the action. Born between June 21 and Jully 22. Cancer is honest, tenacious, generous, family and home-oriented. Cancer born individuals are faithful and don’t expect anything in return of their generosity. Libra is born between September 23 and October 22. It’s the most balanced zodiac sign and it’s known for being fair, correct, romantic and diplomatic. Capricorn is born between December 21 and January 19. They are patient, ambitious and loyal. They are very professional and intelligent. Capricorn zodiac sign expects privacy and respect. 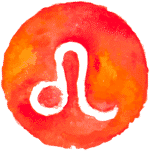 The fifth sign of the zodiac is Leo, born between July 23 and August 22. Leo is characterized by warmth, humor, pride, joy, creativity, passion and generosity. 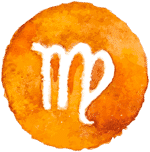 People born between October 24 and November 22 fall into the Scorpio zodiac sign. Scorpio is loyal, passionate, resourceful and honest. Aquarius is born between January 20 and February 18. They are knowledgeable, future-oriented, inventive, charming and likes meeting new people. They enjoy hanging out with friends and in good company. Individuals born between August 23 and September 22 fall into the sign of Virgo. Virgo is methodical, meticulous and mentally sharp. Virgos are perfectionists and they are great rulers. Sagittarius is born between November 22 and December 21. They are independent, sincere and friendly. Sagittarius are very ambitious and have a positive attitude. Pisces zodiac sign falls between February 19 and March 20. Pisces is known to be social, romantic, artistic, compassionate and base their decisions on intuition.